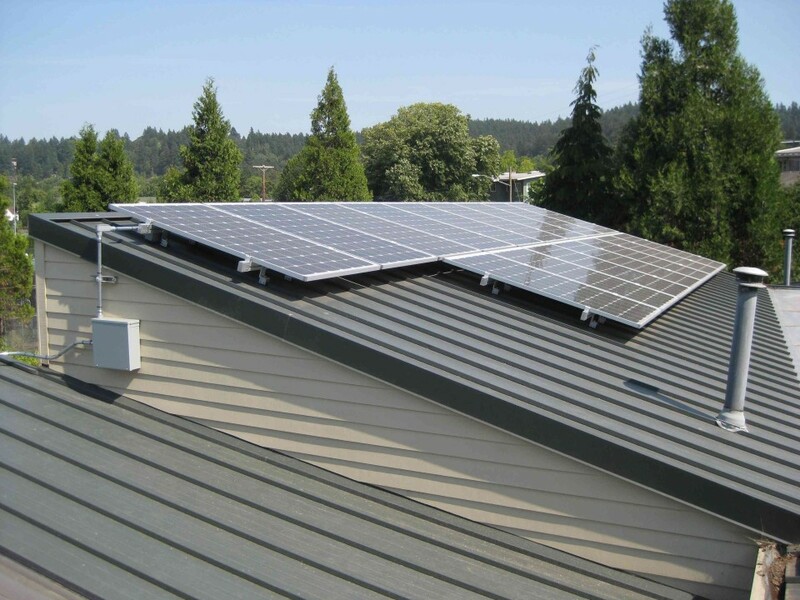 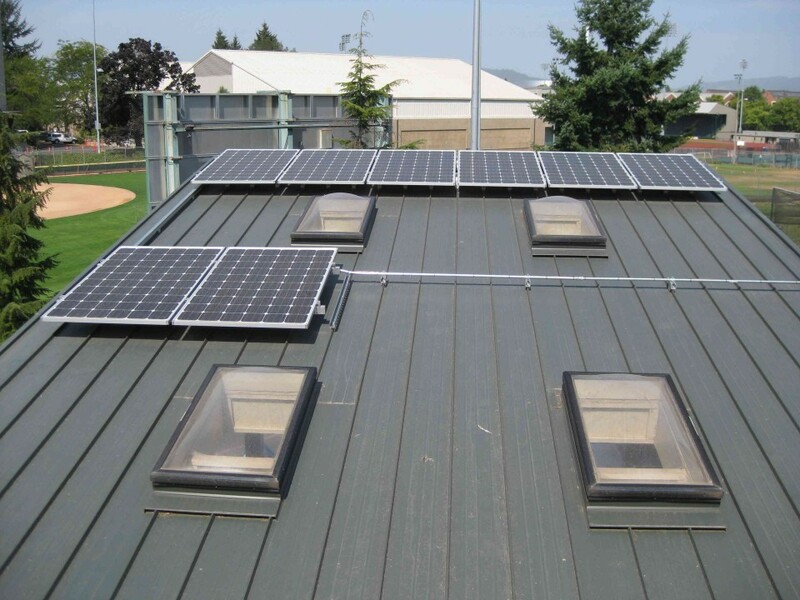 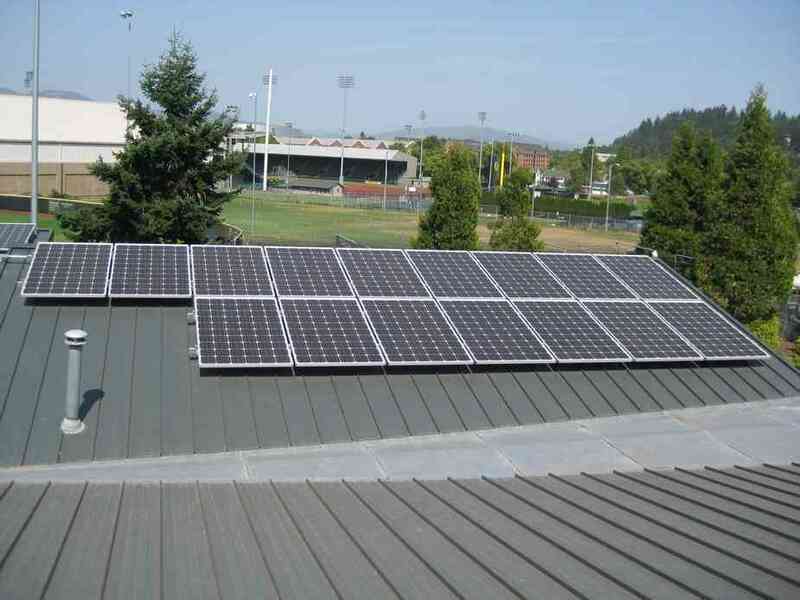 Advanced Energy Systems completed a 5.88 kW solar electric system for U of O Outdoor Program Barn in 2013. 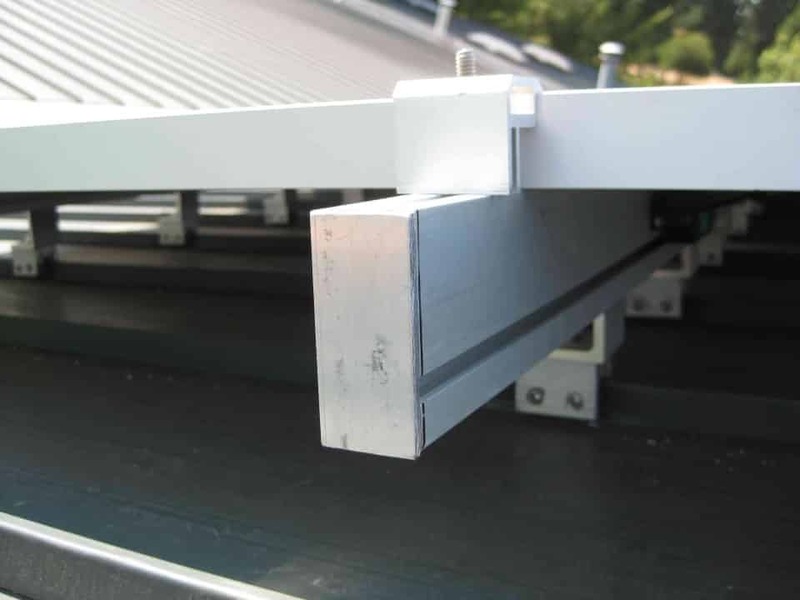 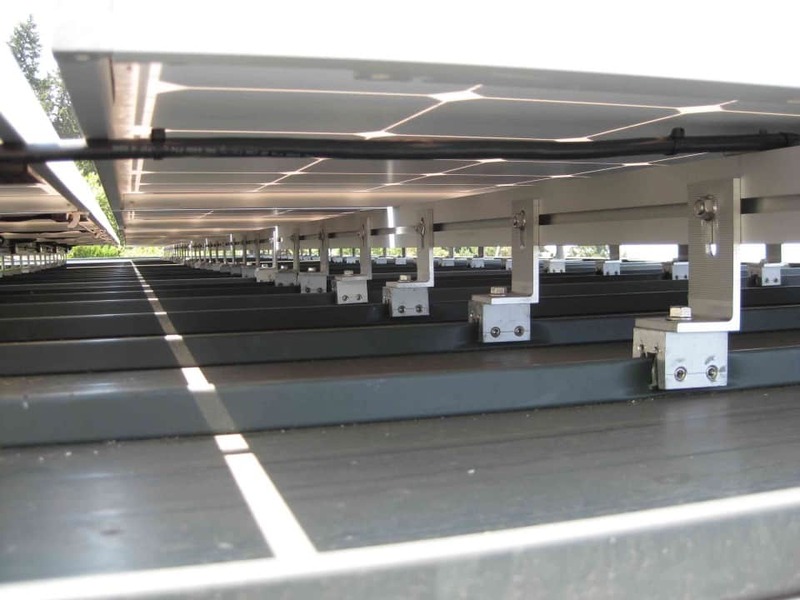 The array consists of 24 SolarWorld 245 watt modules, and 24 Enphase M215 micro-inverters. 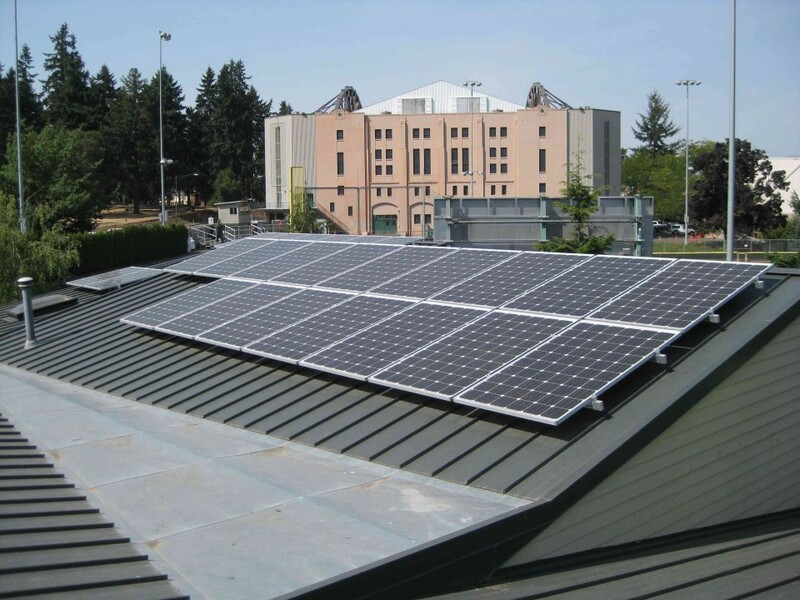 This solar electric system will produce approximately 6,443 kWh in the first year of operation, and more than 219,000 kWh over the course of its lifetime, offsetting 3,000 tons of CO2 emissions.